When we first looked at a map of the Georgia Coast, we were immediately intrigued and excited by its many paddling and adventure possibilities. In the years that we have spent here, we have grown even more excited to be a part of this area. We continue to explore and discover in this small but dynamic piece of the world. Positioned between Longitudes 30° and 32° N (2700 miles north of the equator), fourteen ocean-fronted islands make up a coastline of about 100 miles in length. Flowing into this coast are some half dozen major rivers, bringing with them a vast amount of fresh water and sediment. There are no cliffs or rocks, and very little elevation in its topography. The sandy seabed is also very low lying and shallow, sloping very gradually some sixty miles offshore before reaching deep water and the Gulf Stream. On the Eastern seaboard, Georgia has the second highest tidal variance, preceded only by Northern Maine. Average tides rise and fall about 7 feet, with extreme tides closer to 10 feet - the area around the Savannah River Estuary being the most extreme. These are not extreme tides compared to other places around the globe, however. The Thames River in London rises and falls over 20 feet... but let's remember that the Georgia Coast has no elevation, and from the barrier islands inland many miles, everything is barely above sea level. It is because of these factors that our coast has the most extensive salt marsh environment in the Continental U.S. Change is the name of the game. This coast is a dynamic and ever-changing piece of the planet. In our short time here, we have seen forests disappear, new beaches give rise, and marsh creeks twist and change their course. The Georgia coast is often referred to as a passive coast. We do not get big breaking waves or heavy ocean swells. Beach break is rarely over 3ft and peaks at about 6-7ft. It is due to the very shallow sloping sea bed and the 'Georgia Bight' that the big wave energy dissipates far off shore. These weakened waves tend to 'spill' over as they approach the shore, so it is a great place to learn to kayak surf. The local board surfers have to be content with short rides until we get the Nor'easters in fall and winter, and also hurricane activity in late summer. The extensive salt marsh, protected by a chain of barrier islands, provides many route possibilities in just about any weather condition for good paddling. We have the choice of running the long-shore currents down the front of the islands or of going at a more relaxed pace through the many protected creeks. Water temperatures range from 48' in winter to over 80' in summer. On summer kayak tours, many people want to capsize their kayak and go for a swim. The ebb and flow of our tides and sandy shores, their actions and re-actions, keeps the landscape constantly changing, daily, weekly, seasonally, and from year to year. Even as a guide who experiences these changes on a daily basis, the changing scenery is often full of surprises. The tides, along with the rivers, give us some fairly swift moving currents, which when they reach the sounds and estuaries hit incoming ocean swell and long-shore currents. This collision causes the sediments in solution to drop and to form offshore sandbars that can then quickly form into Ebb Tidal Deltas. At low tide, they are great places for pelicans, skimmers and numerous other shore birds. At high tide, they can simultaneously have 3ft waves breaking on them and refracted waves bending around them, creating 'clapotis'... breaking waves colliding with each other. These are great places to go boating to improve one's rough water skills. Our local Ebb Tidal Delta is between Tybee and Little Tybee...Yippee. Portrait of an Island by Mildred and John Teal. 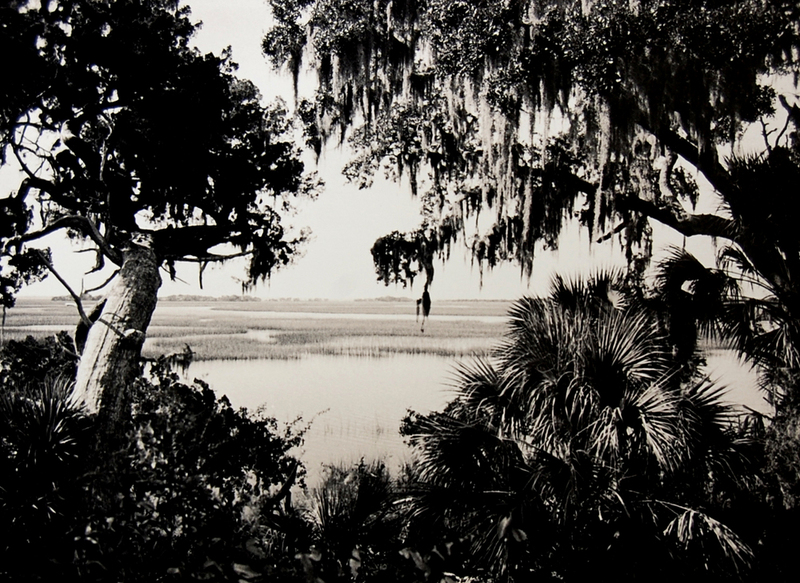 A beautifully written essay about Sapelo Island. The Golden Isles by Betsy Flancher. An account of bygone days living on the Georgia Coast... historically informative. A Guide to the Georgia Coast by the Georgia Conservancy. An ecological look at the ever-changing and dynamic coastal environment. The Longstreet Guide to the Georgia Coast Great information whether you are visiting or are a resident.